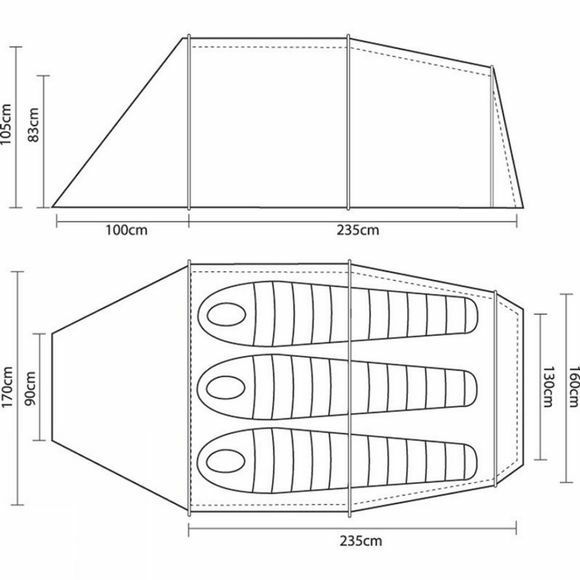 The Polar Lite tunnel tents offer a high degree of strength and durability for severe environments and snow conditions. The super streamlined profile of these three pole tunnel designs provides the perfect wind cheating shape for wintry environments. 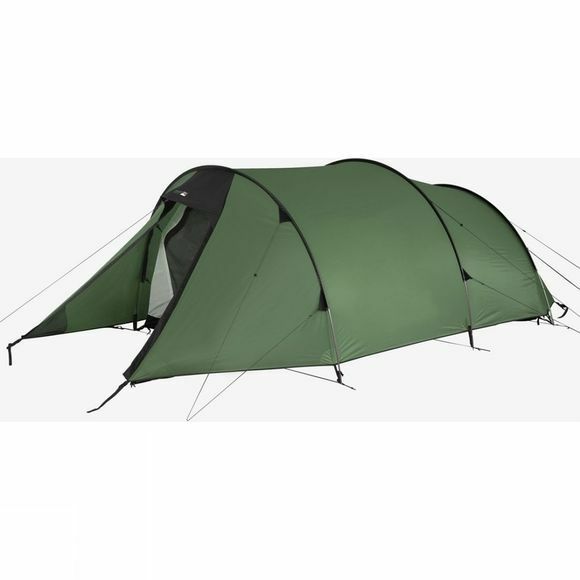 The Polar Lite 3 is a great 4 season touring tent for 3, with its cavernous 2.3m x 1.7m inner and huge porch. The tent uses light weight DAC alloy poles to provide greater strength and flexibility while keeping pole weight low. 8 chain zips are provided for extra durability and V angle alloy pegs for a more secure hold.